Finding the right community for luxury living can be one of the best ways to improve the lifestyle and well-being of yourself and your family, and Vegas offers a great selection of luxury homes to choose from. Let’s take a look at our list of some of the best communities that Las Vegas has to offer. Named after the route that early pioneers traveled, this colorful upscale private community is among the most sought-after luxury communities in Vegas. Comprised of grande homes with a Spanish flare that surround a stunning 27-hole championship golf course, which is recognized as one of America’s finest courses, Spanish Trail has become known as one of Las Vegas’s premier residential areas of golf course homes. Offering luxurious homes ranging from just under $1 million and up to $6 million, Canyon Gate is a wonderful high-end community. Nestled with its very own Canyon Gate Country Club, complete with a gorgeous 18-hole golf course, outdoor Vegas style swimming pools, both fine and casual dining, and various other outdoor and indoor activities, this neighborhood is a highly sought-after place to live that simply shouldn’t be overlooked if you’re in the market for a luxury home. The Lakes is a Las Vegas development that is chock full of luxury homes and nestled right on a beautiful, naturally tranquil 320-acre lake that is complete with palm trees and luscious grassy hills. If you enjoy water activities, private recreation, and beautiful landscapes, The Lakes is a luxury hot-spot. Located in the northwest of Las Vegas, Centennial Hills is a fairly new luxury community that caters to those that seek large, beautiful homes. Its amenities include parks that feature many activities such as volleyball, tennis, basketball, etc. Fine dining and a fast escape from the city life are all within reach, but the Vegas hot spots are still just around the corner. If you want a little more seclusion in your life but still want to be in touch with the Vegas lifestyle, Centennial Hills is the place to be. Redhawk includes its own neighborhood park and has 82 luxury estate homes in Vegas, most of which feature their own custom golf course views or a view of the Strip. The neighborhood is just on the edge of the famous Bear’s Best Las Vegas golf course, which happens to be designed by the master himself: Jack Nicklaus. Buffalo Ranch is a smaller community at just about 150 acres and is one of the most desired communities due to being nestled just five miles from the Las Vegas Strip. With a total of 552 homes and 13 different floor plans, everyone is sure to find a home that they love, As you enter the community, winding walkways and rustic planters, coupled with the gorgeous mountain views seem to draw you in and make you never want to leave. With the Club Ridges just nearby, Falcon Ridges offers an elevated state of living with golf course estate homes that include a view of the Vegas Strip. This makes it among the most desired communities in all of Vegas. There are 61 custom luxury homes to choose from, and their prices range from $2.5 to $7.5 million. Aliante is a planned community tucked away beneath the Sheep mountains. With access to a vast array of outdoor activities, the area is a perfect choice for hikers, bikers, and nature enthusiasts. You get beautiful mountain views, luscious green spaces designated for community use, and hiking trails abound. The community is also home to the Nature Discovery Park, which is a peaceful spot with man-made ponds and waterfalls. Las Vegas is full of opportunities for luxury living. If you’re struggling to find just the right neighborhood for your family, there are various factors to consider. The following tips will help you discover the ideal community for your needs and lifestyle. Hopefully, you’ll see many years in your new home, so it’s important to select a neighborhood that offers everything you could need now and in the future. To ensure your bases are covered, consider these factors before making an offer. Ensure your community has the amenities you absolutely must have and consider what you could do without. If you’re single or don’t have children, it’s important to factor future goals into your decision. What might you be looking for in the years to come as your family grows? One of the city’s many beautiful neighborhoods is sure to meet your needs. If you have children or plan to have children, it’s essential to look at the schools in the district. Luxury homes near top-rated schools will have a higher sale value, so this should also be a consideration. If you plan to drive your children back and forth, review the communities near the best Las Vegas schools. You’ll want to ensure that the neighborhood not only offers a great educational experience but also all the amenities you could want. Convenience means different things to different home buyers. It could mean having a home close to your work or near major Las Vegas freeways to avoid long commutes. Some home buyers look for neighborhoods near shopping centers. You might find it convenient to have a host of shopping and dining options to choose from without having to travel far. As a potential home buyer, you’re likely concerned about the crime rates in the area you’re considering. Neighborhood Scout will offer you some great insights into the safest neighborhoods in the Las Vegas area. It’s also important to consider the correlation between low crime rates and increases in property value. You might pay a little more for a home in a community with a low crime rate, but many homeowners consider it worth the investment. This is an important step when considering a luxury community. As these people could be your neighbors for many years, it’s important to establish a solid foundation with them. You can do this by knocking on a couple of doors and introducing yourself. Feel free to ask questions about what they like and dislike about living in the community to gain some inside knowledge. To get a feel of the neighborhood culture, try to speak to several residents at once. You can see how they interact with each other and decide if you’ll be a good fit. Country clubs are a great choice for luxury living because you know that you can bond over shared interests and activities. Before making that final purchase, make sure you find out what the city might have in the works for your target area. As a homeowner, you might not enjoy having a bunch of construction in your community. However, the city could be planning something you would like such as a new shopping center or expanded roadways that could impact your views or commute. Try to get as many details as you can of any future plans so that you are better equipped to make a decision. As a potential home buyer, you want the best for yourself and your family. 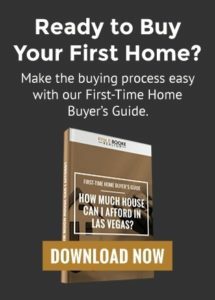 Finding the dream neighborhood in Las Vegas will take some careful consideration, but these tips will help you make a more informed decision. 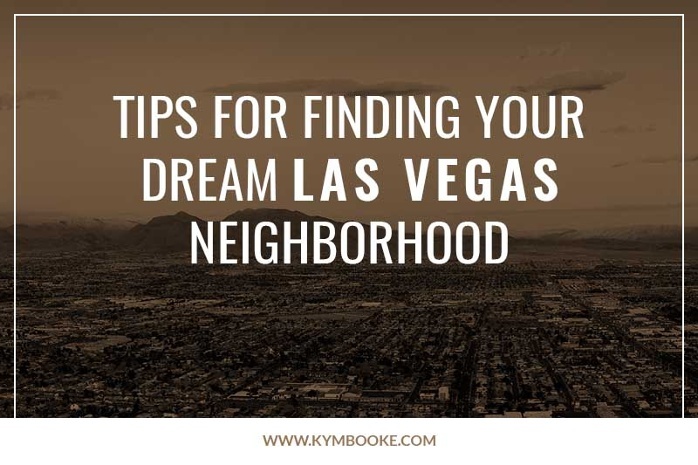 If you’re looking to upgrade your home and find the right community for your family, work with Kym E. Booke to see what the Las Vegas Valley has to offer.